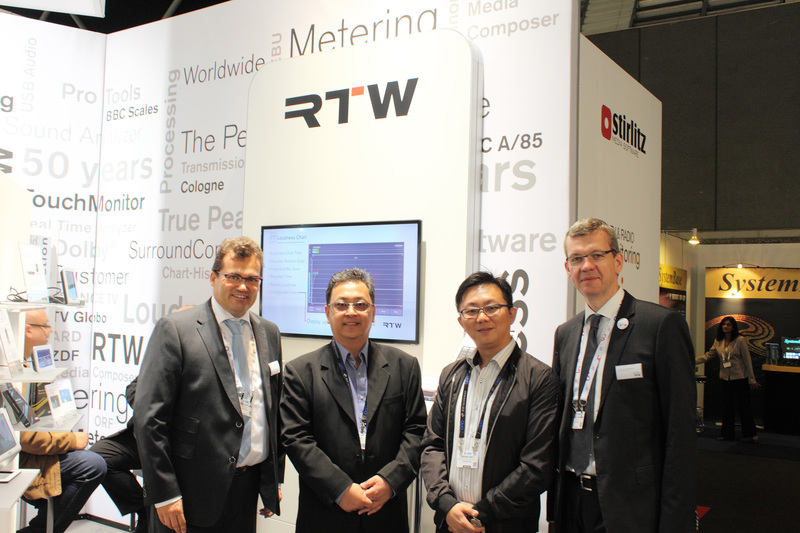 SINGAPORE, DECEMBER 17, 2015 – RTW, a leading vendor of visual audio meters and monitoring devices for professional broadcast, production, post production and quality control, is pleased to announce the selection of Broadcast Communications International Pte. Ltd. (BCI) as the company’s new distributor in Singapore. BCI is an authorized distributor of numerous international professional brands in the broadcast and communications market, as well as a systems integrator, offering turnkey solutions to customers in this sector. The company will be distributing the full range of RTW products to its clients, including many broadcast and pro-audio customers in Southeast Asia. Among BCI’s offerings will be RTW’s new TM3 USB Connect Tool and Continuous Loudness Control Software, as well as its ever-popular TouchMonitors. The TM3 USB Connect Tool enables a direct connection between the TM3-Primus as a plug-in within a DAW environment. RTW’s Continuous Loudness Control Software allows users to constantly adapt the level of audio they are working on, against a given program-loudness value, along with a definable loudness range in real time with minimal obstacles.